- At HSN, we know how to have fun. And you know what they say, all work and no play makes for a really dull day. That’s why we’re looking for energetic and passionate students like you to join us. With opportunities spanning the business in Merchandising & Planning, Marketing, Digital, IT, Legal, Finance & Television, you’ll gain real world experience with a leading interactive entertainment and lifestyle retailer and be part of the network that’s reaching 95 million homes, every day. "There was never a dull moment. I was always learning something new." With every department playing such an exciting role in bringing our business to life, you’ll see that, HSN is the perfect place for you to launch a career doing what you love. Browse our departments and see what fits you best. Have it all. No bargaining necessary. 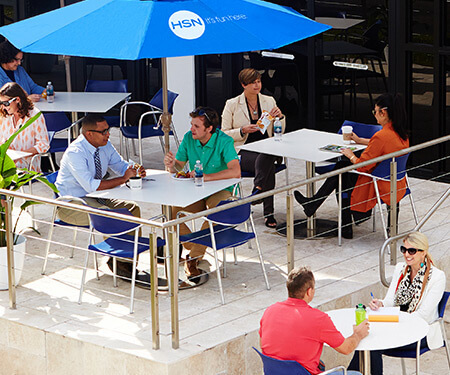 In between the celebrity sightings and new product launches, HSN remains dedicated to providing you with everything you need to launch a successful and rewarding career—with the possibility of being hired as a fulltime employee. Through our hands-on internship program, you'll gain real-world experience in one of the most exciting and fun work environments there is. You'll do work that matters and see your impact first-hand, whether it's on screen or behind the scenes. Alongside supportive mentors, you'll learn the responsibilities of your role, interact with industry experts across the business, and emerge fully prepared to take on a full-time position. Oh, and did we mention the sweet benefits? Discounts on all retail purchases and exclusive access to our employee store. 1Student must be working towards a Bachelors Degree in a related field with the ability to obtain course credit through the college or university for non-paid program. 2Student must commit at least 20 consistently scheduled hours per week; interns can work up to 40 hours per week and will have the opportunity to meet the hourly requirements of the university. 3Program is based at our corporate office in St. Petersburg, FL and would require temporary relocation to St. Petersburg, FL for non-local students. 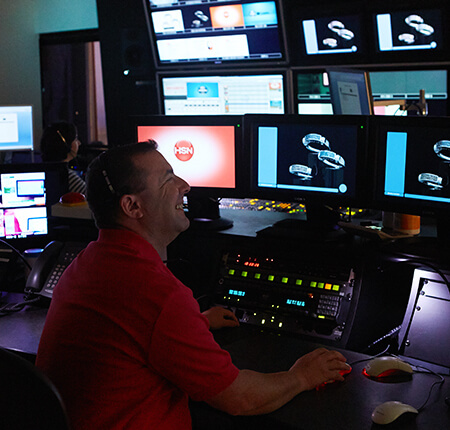 Work hard; play harder in St. Petersburg, Florida—home of our broadcast studios and corporate headquarters. From beautiful beaches to cultural attractions, the Sunshine City is known for its warm weather and blue skies. Into biking, boating, sports, museums, shopping, or finding the hottest trend in the culinary scene? You’ll find it all here in sunny St. Pete. Have a student in mind that would be a great fit for HSN? Email HRrecruiting@hsn.net to connect with a Recruiting Partner today.